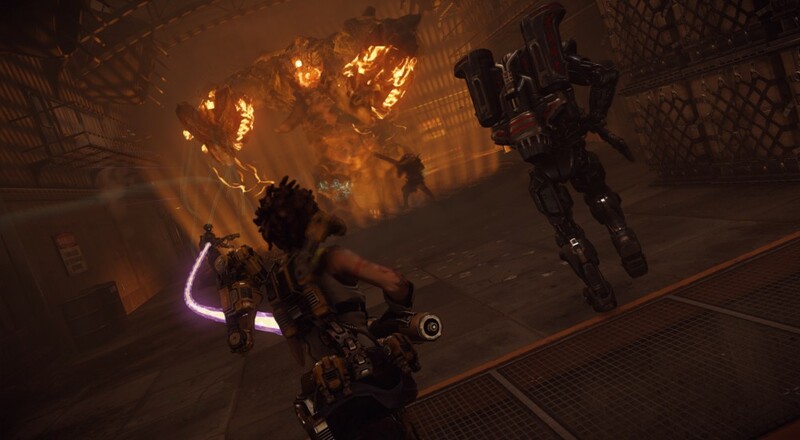 Earlier this year Evolve was released and it pretty much fell by the wayside as gamers did not see the value in the 4v1 first person shooter. I myself had a blast with the game and though I agree the price was a bit high I never like I was robbed of my money while playing. Nonetheless those that have stayed away will get the chance to play the game for free this Labor Day weekend on both PC and Xbox One. Now if you are reading this but you already own Evolve you were not left out of the free weekend. During two of the days during the free weekend everyone who plays will be given access to Evolve's various DLC characters. On September 4th, the Hunting Season 1 Pack contents become available for 24 hours and On September 5th, the Hunting Season 2 Pack contents become free. Additionally, players can download Meteor Goliath free of charge on September 3rd which is of course an alternate character version of the original Goliath monster. I know a few members of the co-op community are looking forward to teaming up with several friends and spending some quality time on Shear during the weekend.